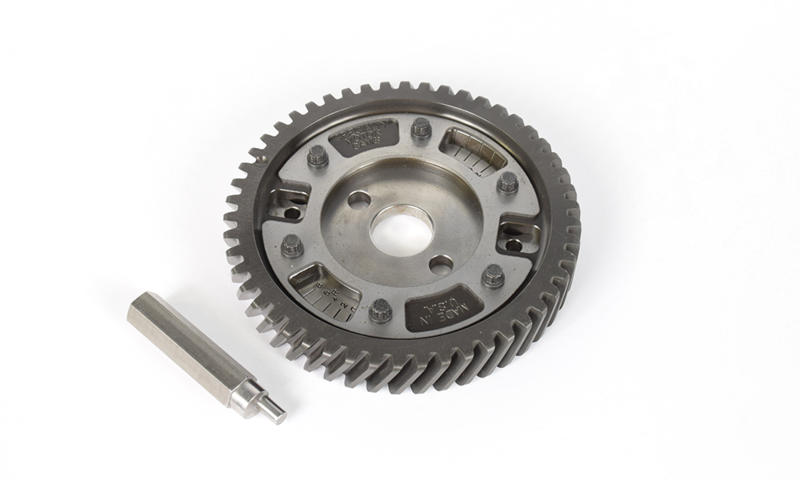 This gear gives you the ability to set your engine's cam timing to achieve maximum H.P. and torque. 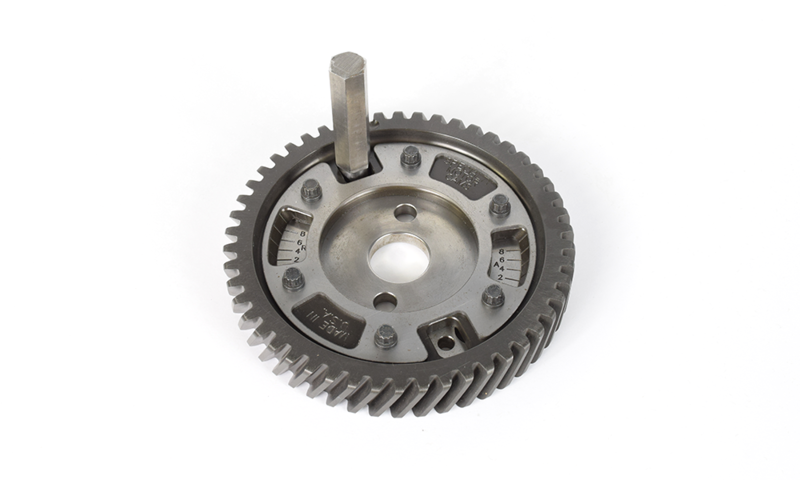 Adjustable to two degree increments and a maximum of eight degrees of advance or retard. Loosen 6 locking bolts and insert eccentric tool provided. Rotate to desired vernier markings and lock tight.